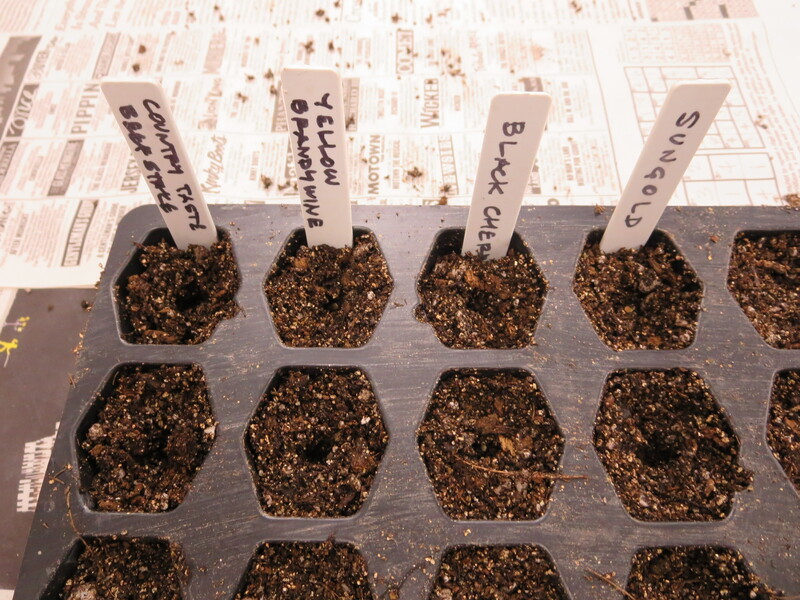 Speaking of lettuce (see February 7, 2014), a quick consult of the seed sowing calendar reveals that now is the time to sow lettuce seeds for non-transplanted growing. 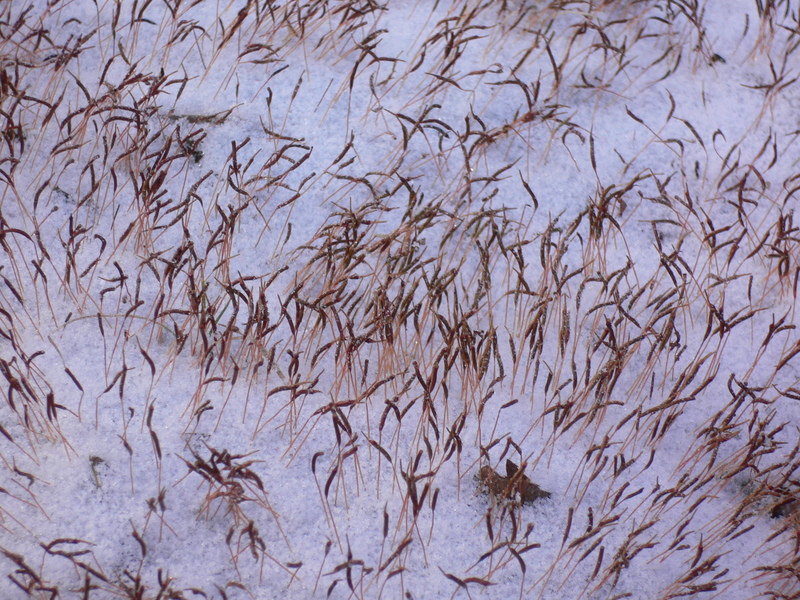 (The nice thing about the seed sowing calendar I developed last year is that it is relative to the assumed average date of last frost, which is essentially unchanging; see March 23, 2013. Therefore, last year’s calendar will be just as accurate this year.) 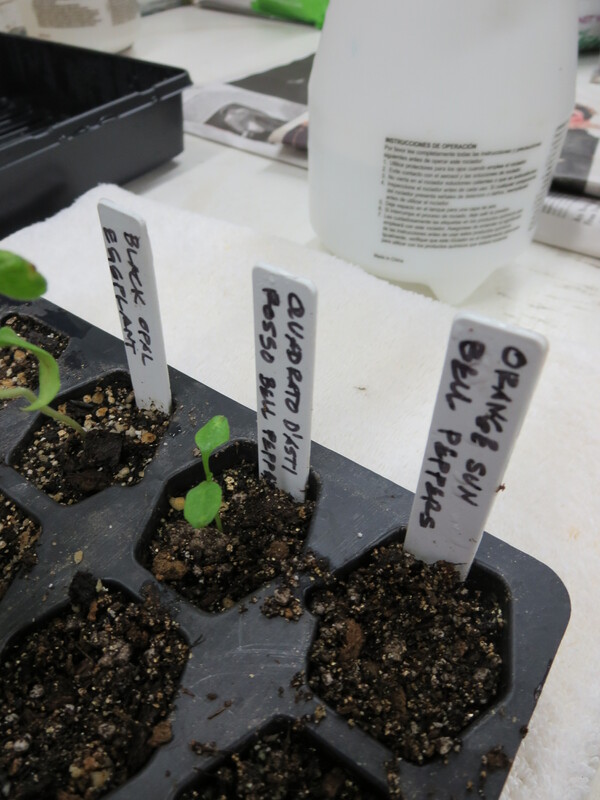 By “non-transplanted”, I mean that we will start the seedlings indoors and then pot them up to larger containers that can be moved outdoors when the warmer weather catches up to us. At a certain level, it seems unbelievable that we would be even thinking about planting something as delicate as lettuce at this time of year. Especially this year: Temperatures have been in the single digits and snowstorms are weekly events. 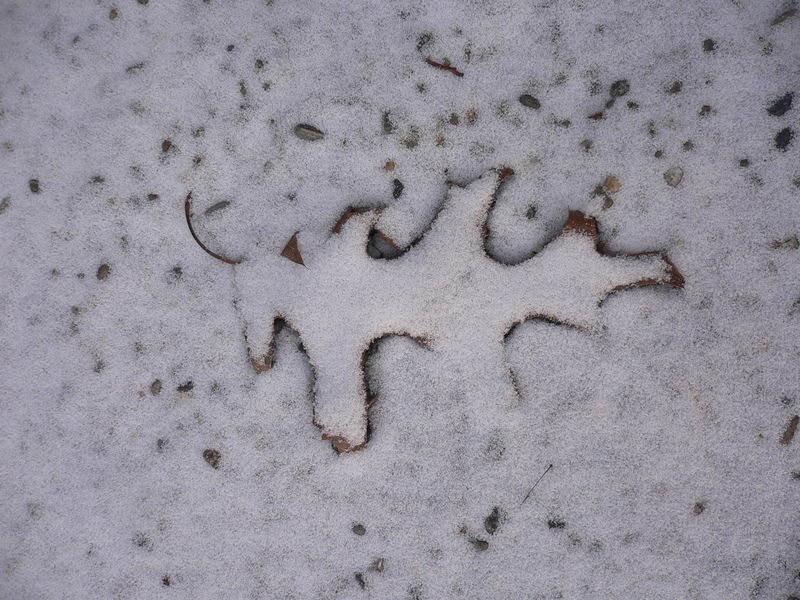 There is no feeling (I don’t feel it, anyway) that the wintery weather will be changing anytime soon. And yet, we are approaching mid-February and in two weeks it will be March. 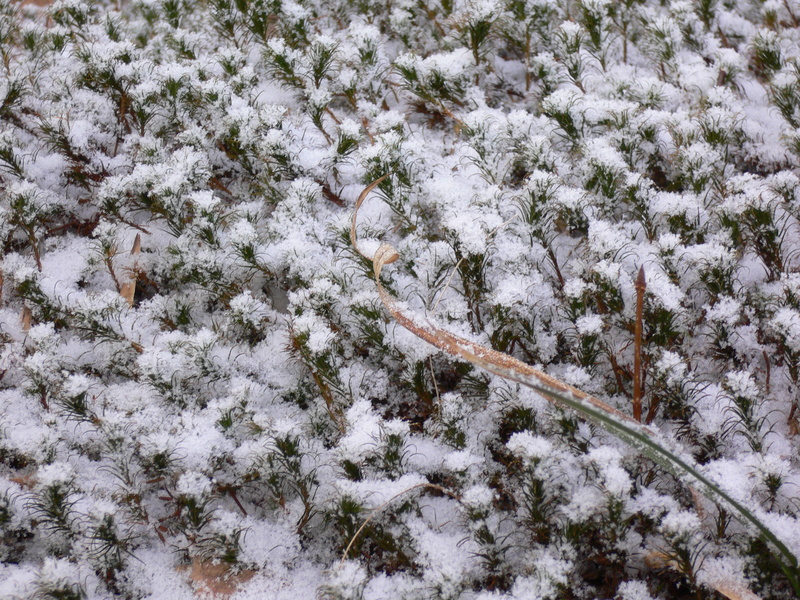 By my reckoning (see June 25, 2013), that’s the beginning of spring! And what says spring more than fresh lettuce? 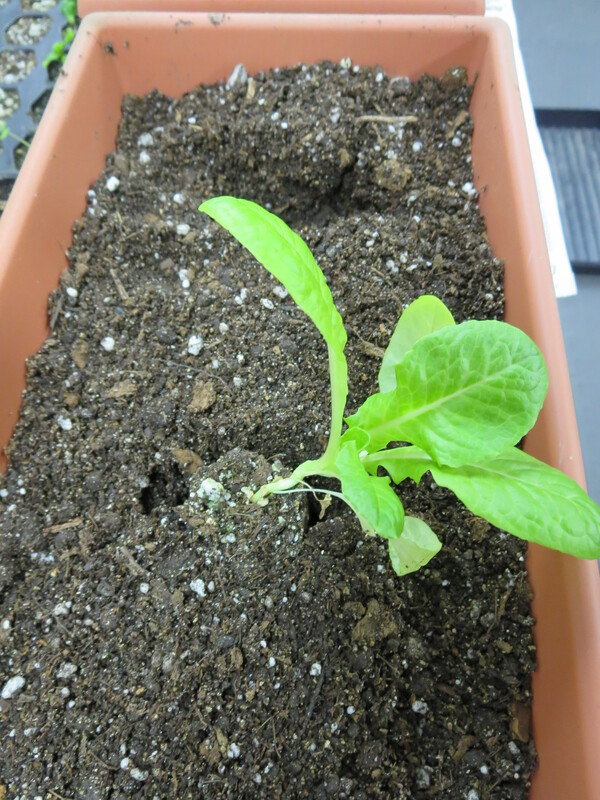 To get the lettuce plants started, I followed the same process as I did for the herbs (see January 28, 2014). 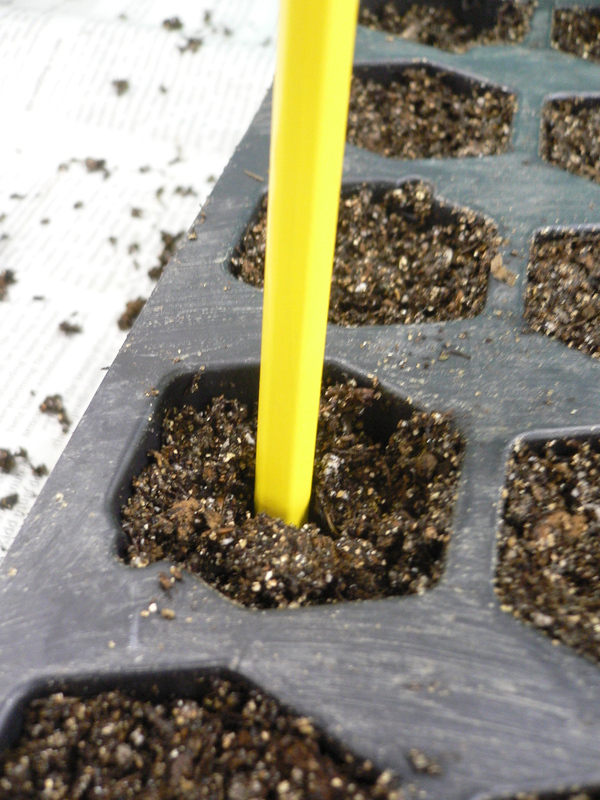 I mixed up a batch of seed starting mix (peat moss, vermiculite and perlite in a 2:1:1 ratio with a teaspoon of lime), moistened it with water and filled half of a compartmentalized seed tray. 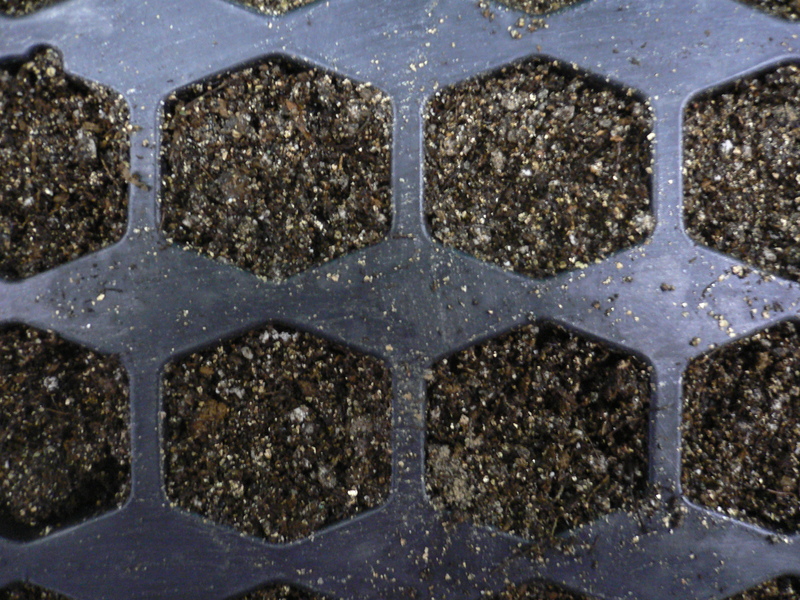 I then planted six of the compartments with seeds for romaine lettuce and six with red leaf. In a couple of weeks, I will plant another six of each variety followed by a final six of each two weeks after that (a half-tray has 36 compartments. 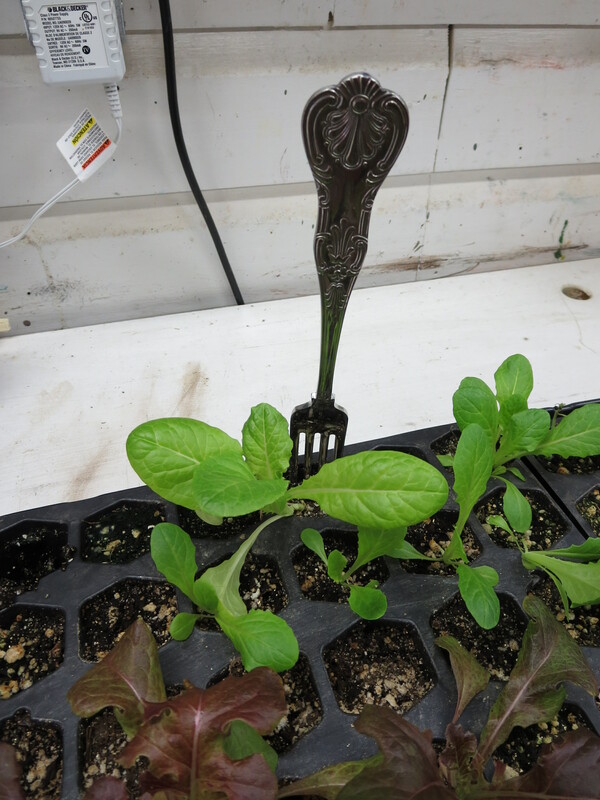 Assuming the lettuce seeds are still viable (and they should be; the seed packet indicates an average life of two years and they have been stored properly), they will sprout in seven to 12 days. 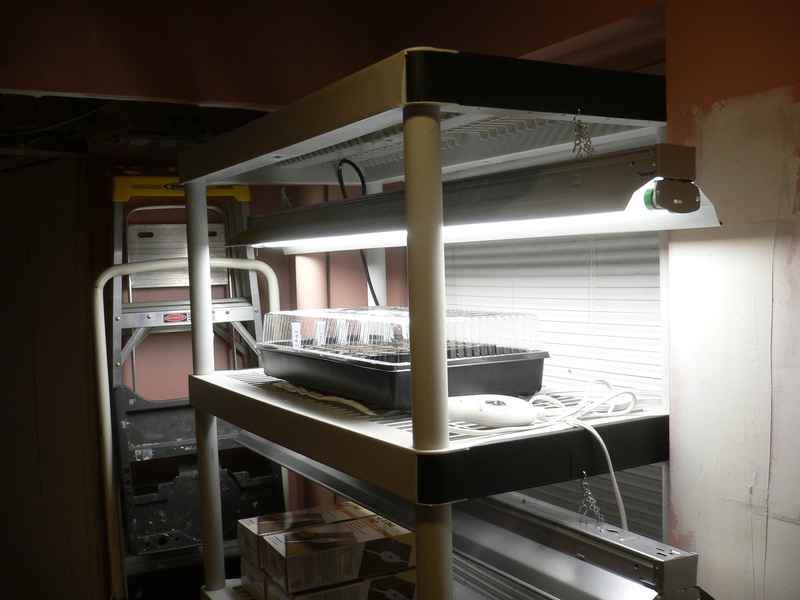 They’ll need a couple of weeks to get large enough to transplant and then four to six weeks to reach full size. If the lettuce plants last that long (we may start eating them earlier), it will be some time in the middle of April. 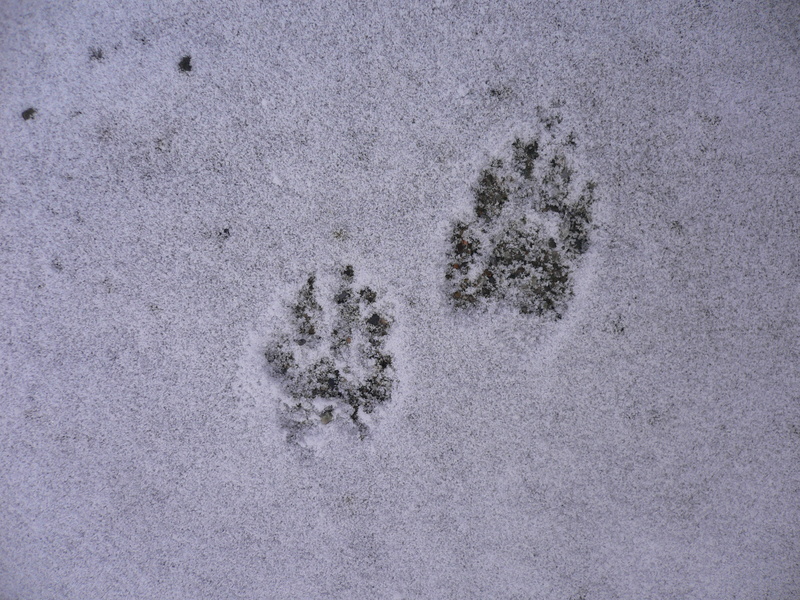 Therefore, it is unlikely that the first batch will spend any time outdoors. But the second and third sowings probably will. 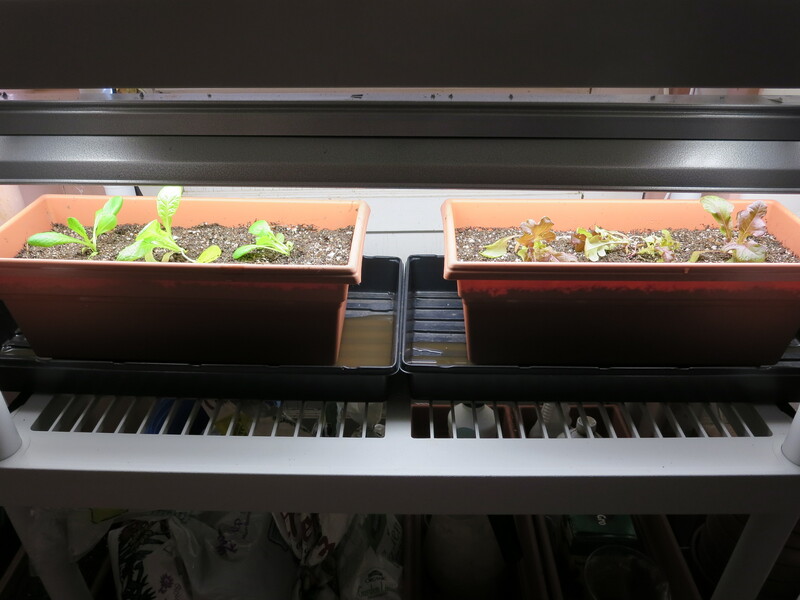 I moved the half-tray of lettuce seeds onto the seed starting apparatus where it joined the herbs, already in progress. 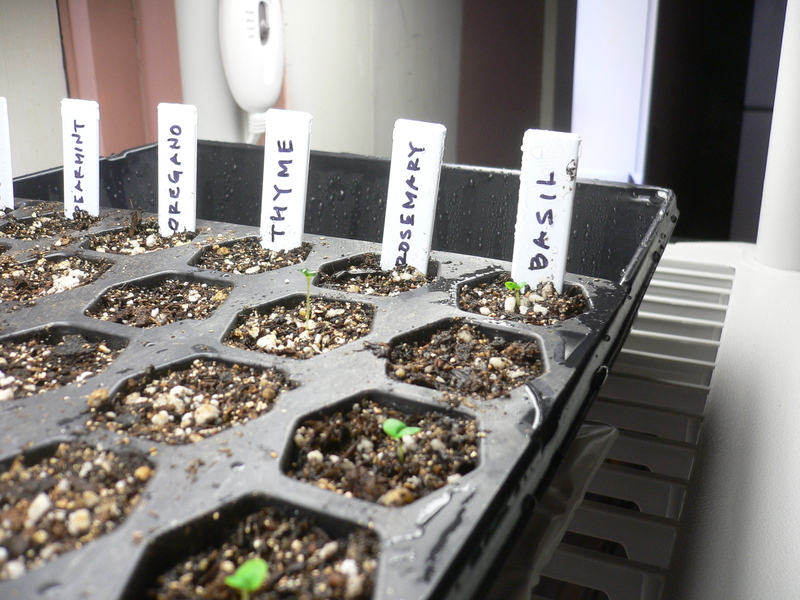 They haven’t changed at all—their status is holding at four basil seedlings and two presumed rosemary seedlings—but I’m not worried yet (well, not too worried). 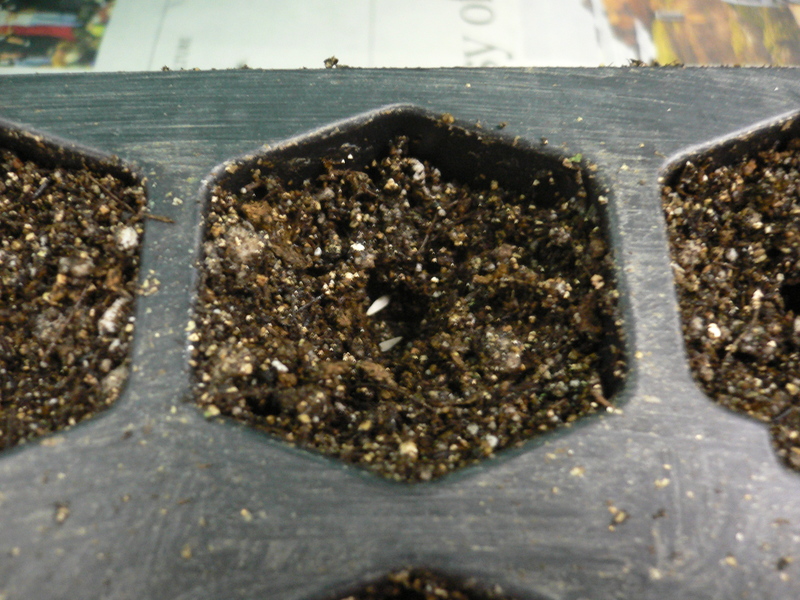 Herbs are notoriously slow to germinate (which is why we started them in January). 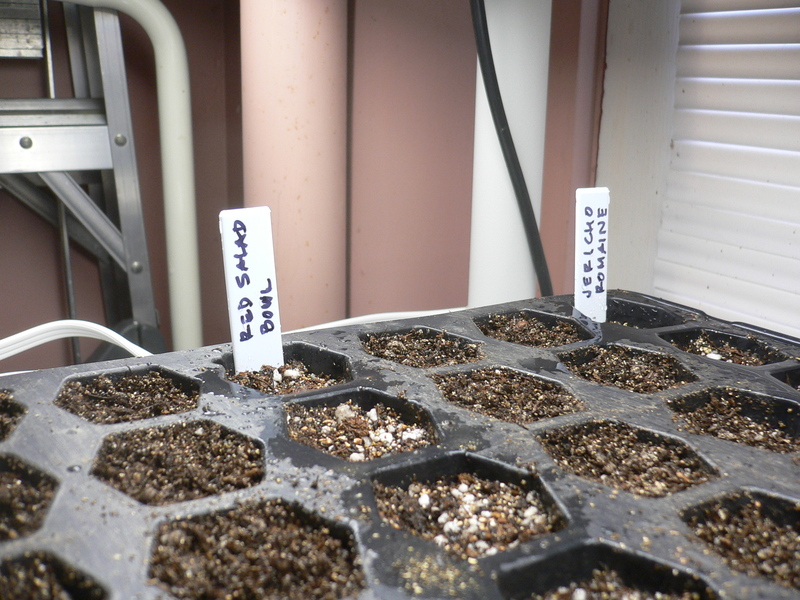 Up next, per the seed sowing calendar: Bell peppers and eggplant in the first week of March. 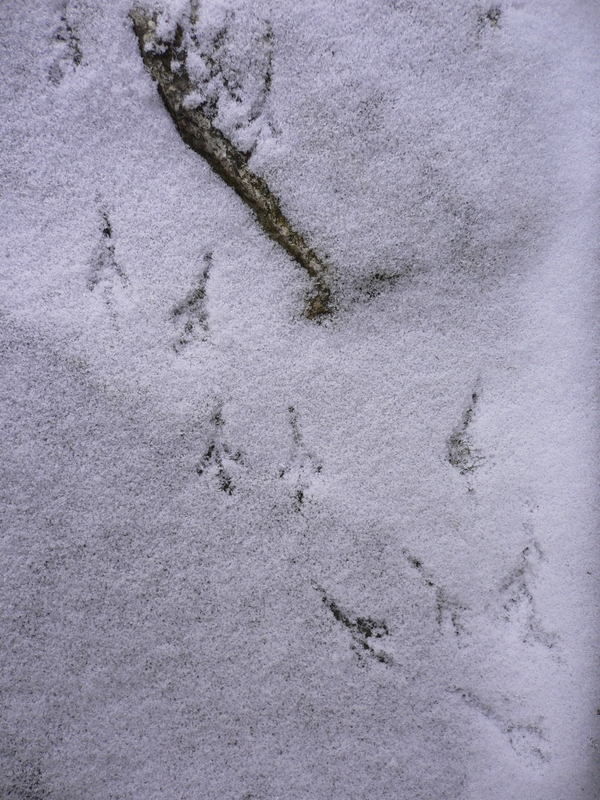 Yesterday, we made a run up to the Adams Fairacre Farms store near us. They have a well-stocked garden center, open all year, and we went there to procure seed starting mix. 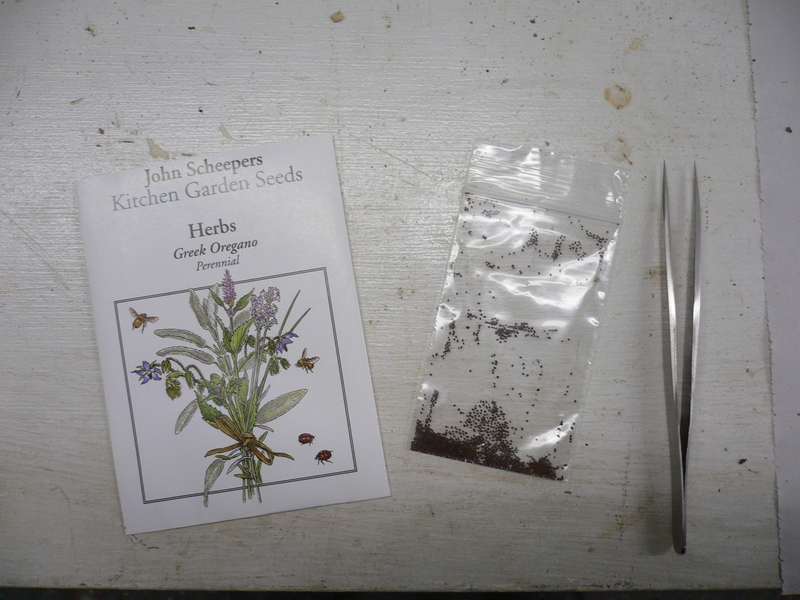 We also found an amazing selection of seeds, including those of the Hudson Valley Seed Library about which I wrote last year (see January 5, 2013). Good to know in case we decide to buy more seeds this year. They had at least three brands of seed starting mix on offer, all different from the brand we used last year. 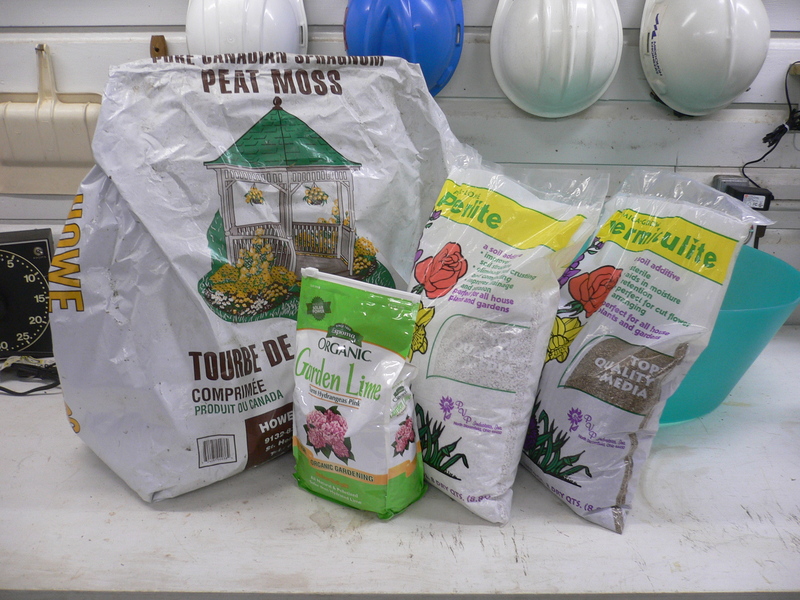 The ingredient lists looked similar and included a combination (in proportions not disclosed) of peat moss, vermiculite and/or perlite. 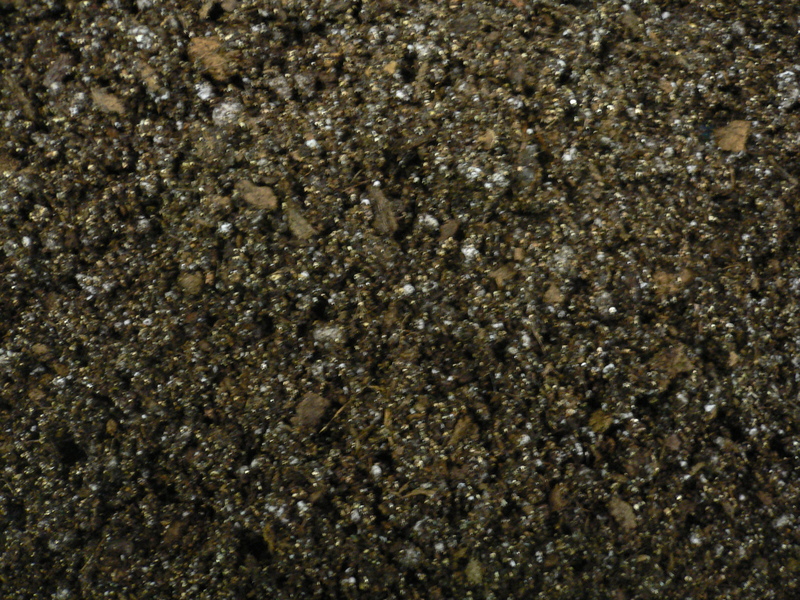 Some also contained compost or other fertilizers (most notably, the Miracle-Gro product which boasts both Miracle-Gro Plant Food and MicroMax nutrients). 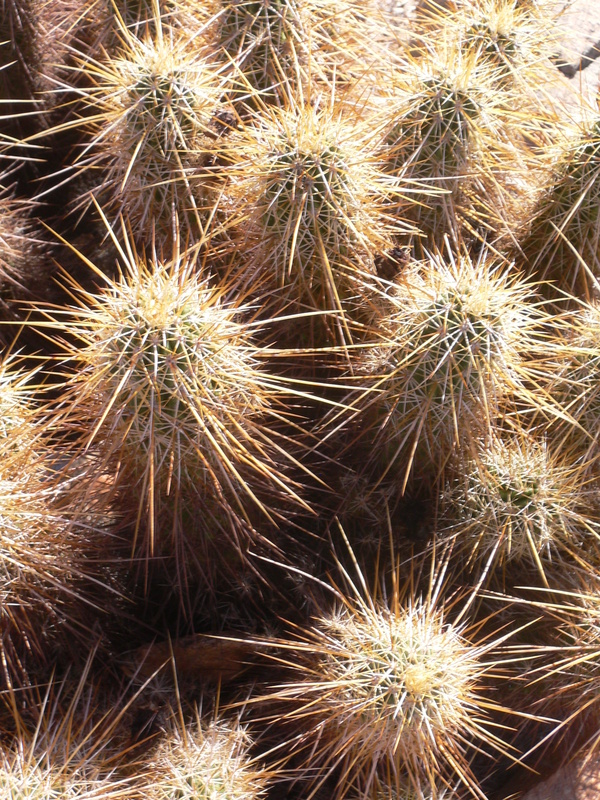 These are superfluous for seed starting; the seed itself contains everything the plant needs from germination until leaf growth. After browsing the available mixes and looking over the extensive array of soil components and amendments also for sale, I decided to make my own seed starting mix this year. I recalled from my previous research that all that is really needed is peat moss, for structure, and vermiculite, for water retention. I have more than a bale of peat moss left over from last year and picked up a bag of vermiculite to add to it. Today, I decided to do a bit more research to determine what the best ratio of materials might be. 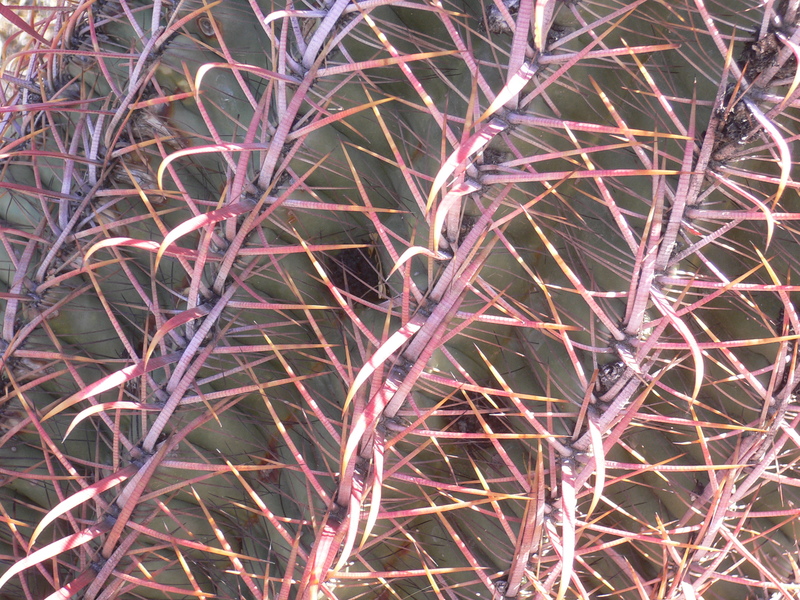 I didn’t find any definitive answers—as with most topics, there are a lot of opinions out there—but I did perceive two common threads. 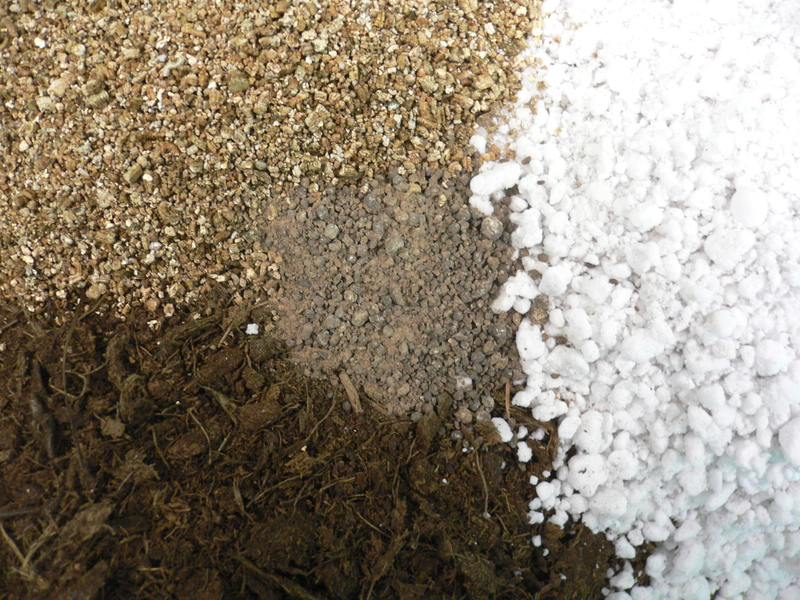 First, many gardeners recommend adding perlite to keep the mixture lightweight and to facilitate drainage. 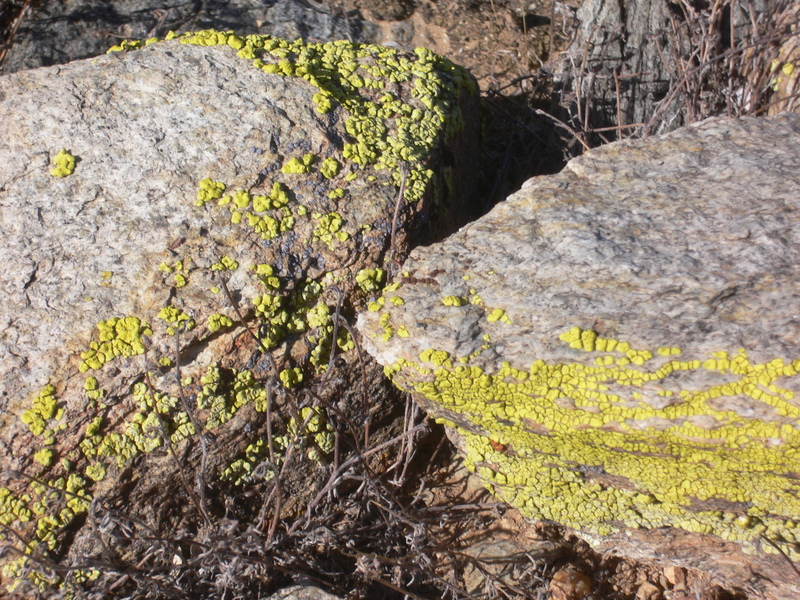 Second, several others suggest including a small amount of lime to balance the low pH (high acidity) of peat moss. 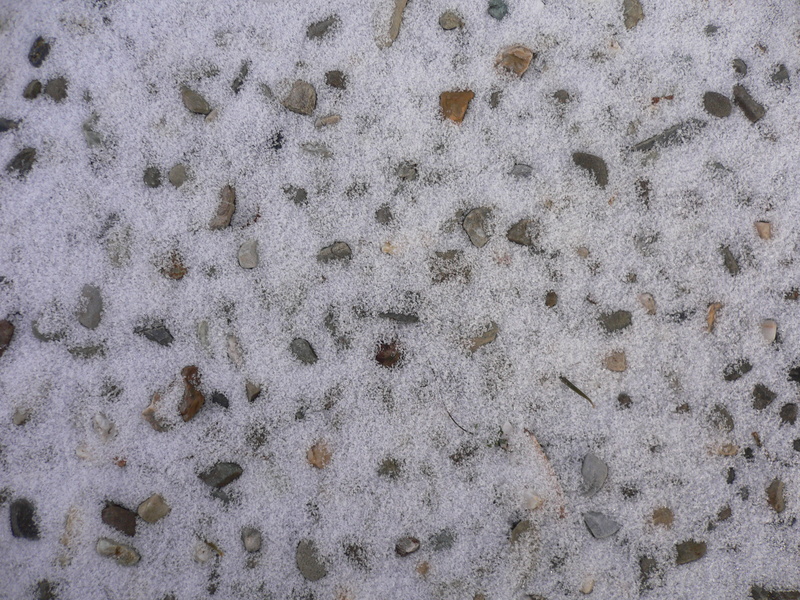 I made another trip to Adams (luckily, it is not far away) to buy the perlite and lime. A definite advantage of the do-it-yourself approach is that all of the mix components are cheap. 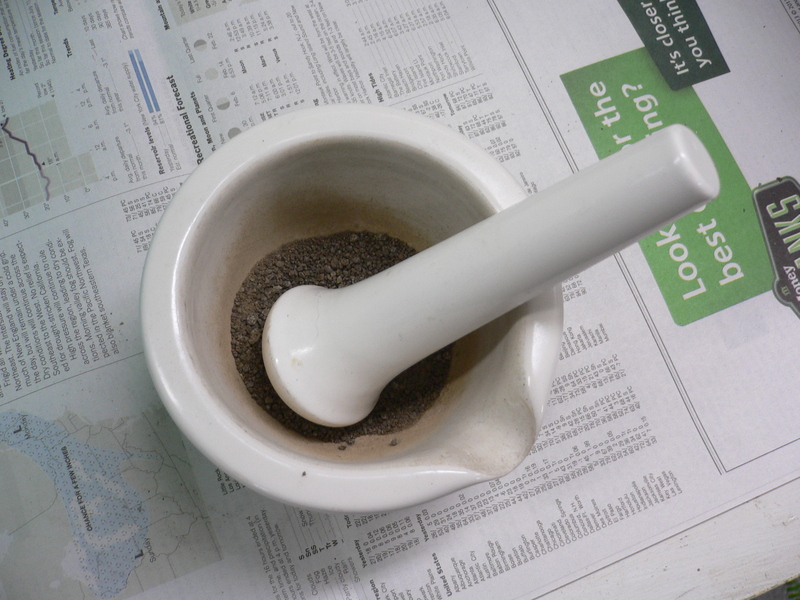 For less than $20, I will have enough mix for this year’s seedlings, including potting up. The lime will last substantially longer (in fact, I will probably never have to buy it again). 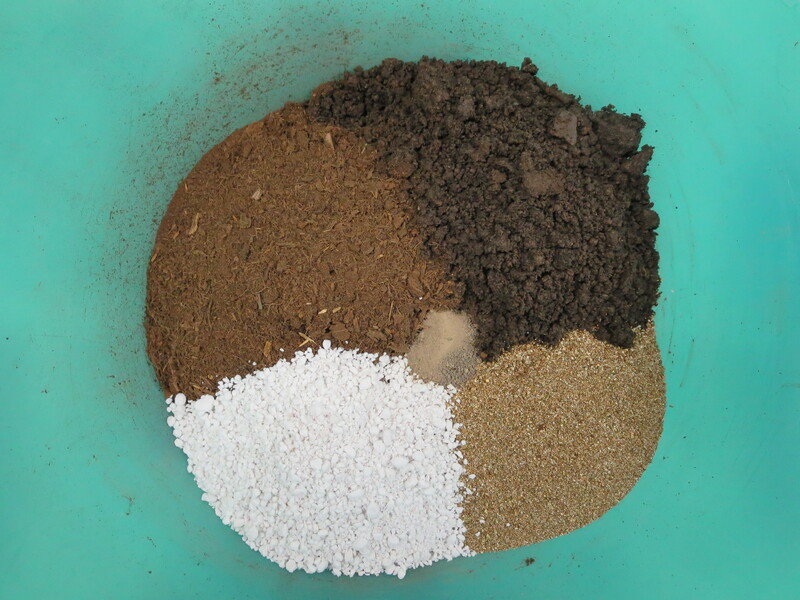 When combining the components, I will initially mix two parts peat moss to one part each of vermiculite and perlite. One recipe called for a quarter teaspoon of lime per gallon of mix, which seems low but is as good a starting point as any. After that, I will adjust as needed to produce a consistency that seems right. This is a case where my intuition will have to guide me.